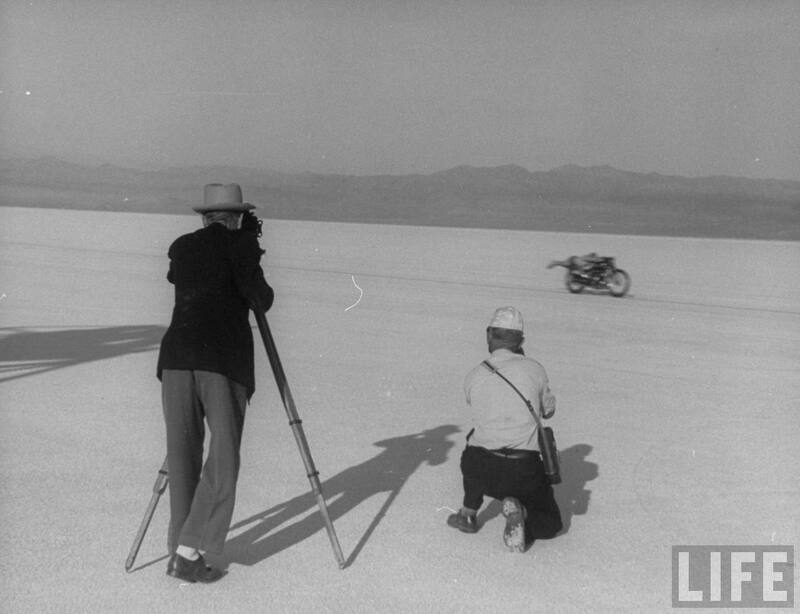 Rollie Free made made history aboard a 1948 Vincent HRD V-Twin motorcycle, often referred to as the “Bathing Suit Bike” due to the scant attire of its rider, Roland “Rollie” Free. 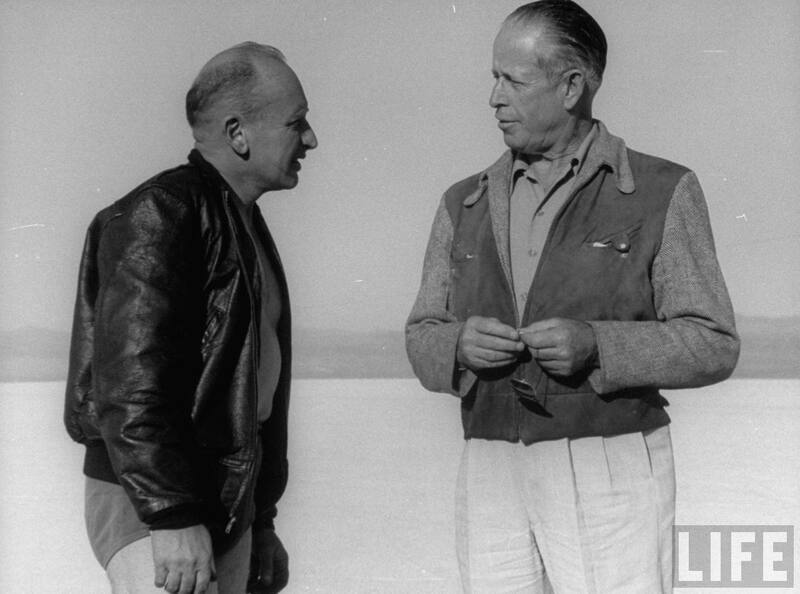 John Edgar hired Free to make the attempt at the Bonneville Salt Flats on Sept. 13, 1948. 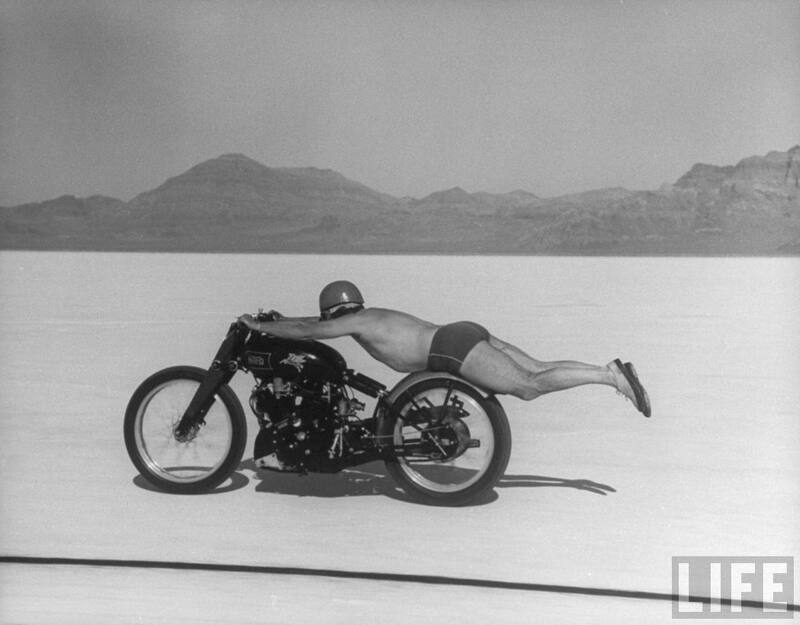 Free initially removed the bike seat and laid flat out on his stomach to minimize wind resistance, and when the stitching on his leathers failed and they began flapping in the breeze, he discarded them too, opting instead for a simple pair of tight bathing trunks, a swim cap, and a pair of tennis shoes. 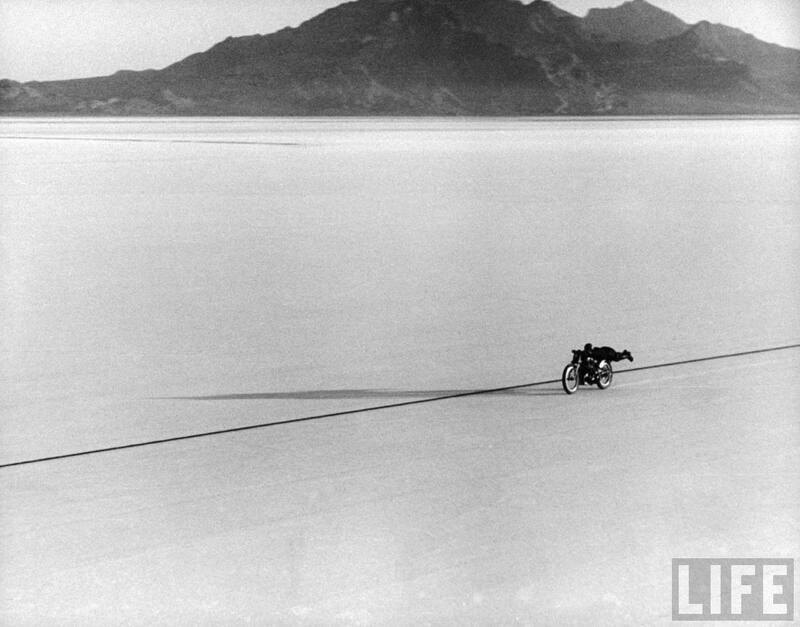 Tragedy could have been the result, but Free averaged a smoldering 150.313 mph, smashing the previous American speed record and establishing a new world record for unstreamlined and unsupercharged bikes.